The board game industry has exploded. There are hundreds of new board games popping up all the time. You only need to look at Kickstarter or any crowdfunding website to see the rabid popularity. It can be a bit overwhelming. What happened to the good ol’ days where families sat around the dinner table for a friendly game of Monopoly, shortly followed by a table flip and screaming match because Kendra never trades the green properties…? To help guide you we’ve compiled a list of the most common types of board games that players will find and what to expect from them. Have no fear, Game Cows is here! When you think of an abstract strategy game the image of a socially awkward kid with tape around their glasses comes to mind (tl;dr chess club). But abstract strategy board games have been around for a long time, since before written history, and have been played continuously by almost every culture in the world. Some of the oldest board games in the world are abstract strategy games. These types of games do not rely on any real-world theme and the outcomes are entirely contingent upon the decisions that players make. Many of these games possess what’s called “perfect information,” in which players have nothing to discover, only must think through their moves logically. Abstract Strategy games rarely if ever have a luck or chance component, such as dice rolls or card draws. They tend to have a set of simple rules that are easy to learn. The real challenge is the complexity of options that come after the short list of rules. These games are great for improving critical thinking, where players must think many steps ahead to outmaneuver their opponent. Many players’ first introduction to board games will be abstract strategy games. Educational games have been around for quite some time and they get a bad rap for being childish and silly or for being dry and trivia-heavy. Some of them definitely can be, but I have played many educational games that were actually quite fun. So yes even learning can be fun. Most games have some kind of educational benefit, but there are a few whose sole purpose is to ensure their players learn something tangible from a game. Ravensburger is a German game company that produces games specifically geared toward children. They are particularly interesting because each one has a specific educational quality. Kendra grew up playing a lot of these games and we still play them today, because even though they’re made for younger audiences, the games themselves are still tons of fun. Games can be an excellent tool for education. When I was teaching eighth grade English Literature I was preparing my students for debates, so naturally, I forced them to play a massive game of Werewolf. It, of course, devolved into a screaming and shouting match, which led to my lesson on how to form arguments and argue them respectfully and accurately. The next time we played, after the debates were over, the game dynamic was much more articulate. Educational games are excellent for families and small children. They tend to have very simple mechanics and are a good introduction to teach young children about cooperation and following a set of established rules. Cooperative games are particularly good if you have one player that is more competitive than the rest of your gaming group. Your entire group is pitted against a common enemy, usually the board itself. This is an interesting mechanic and has seen some recent popularity in new board games. Players work together against the game itself. This gaming genre usually has some randomized mechanic that acts as the A.I. for the board. Pandemic uses decks of cards that tell what territories are being infected. It doesn’t have to be a deck of cards but there is usually some kind of random element that the board will use against the combined forces of all the players. One of the most interesting types of board games I’ve found is the Eurogame. This genre originated in Germany after WWII and because of anti-war sentiment, many Germans turned away from the typical military themes that board games tended to have historically. Instead, they focused on economic topics, like agriculture, infrastructure, or building. I think it’s fascinating to see how anti-war sentiment had such a huge impact on the mindset of a people and to see how it manifested in their everyday life. If you’d like to learn more about the history of board games be sure to check out our recent post, which looks at the evolution of board games from prehistory to the modern day. Eurogames have become a defining style of games worldwide. They’re typically easy to learn and require thought over random luck to win, and rarely is a player eliminated. This makes them excellent games for family or really any gaming groups. Most implement some sort of victory point feature that tracks the scores throughout the game and allow players to continually play instead of being attacked and forced out mid-game. Hidden Traitor games are incredible. There’s nothing that brings friends closer together then sitting down at a table and lying to their face. Well maybe not quite, but that’s exactly what happens in Hidden Traitor board games. The underlying premise of this game type is that everyone is working together except for a small group of players. The best part? The good guys don’t know who the bad guys are. As a “good” player you’ll have some shared goal with the other “good” members of the team. As a “bad” player, your goal is to undermine the “good” players through subterfuge. It makes for fun night of lying and betrayal with your besties. The larger party games like Werewolf or Secret Hitler have a bit of theme to them but have the same goal of finding out who the traitors are and getting rid of them. It can seem simple but tend to get extremely complicated and loud depending on your gaming group. In the larger party games, the action takes place off the table. It’s all about what you say and how you say it. The game relies entirely on your ability to convince or lie, or lie convincingly. If you have a group of players that really get into the spirit of the game it can be one of the most fun social events you can possibly have. It can also go south pretty quickly if you forget that it’s a game. I’ve been in some games where tempers flared and the quiet players got steamrolled by the louder ones. If you’re in a larger group it’s sometimes helpful to have an outside player be a judge/referee for a few games so that they can oversee until everyone is comfortable with the rules. There are also some larger box games that use a hidden traitor mechanic as well. In Dead of Winter one of your fellow survivors might be biding their time until they turn on the group. The same can be said for the Battlestar Galactica Game where one player is a Cylon in disguise. In the larger box games, the main focus isn’t on the hidden traitor, but rather on the overall goal of the game. The traitor is just another element in these types of games, always present and always a threat. Enter: the iconic meeple. Meeples are synonymous with board games and one of the major components to most Worker Placement Games. In a Worker Placement game, players will have a pool of meeples that represent the workers available to them. It’s up to the players how to allocate their workforce, and it’s important not to try to do everything all at once. These types of games rely heavily on strategy and planning your workforce allocation. One of my favorite worker placement games is Lords of Waterdeep, where you take control of one of the rulers of the classic Dungeons & Dragons cities, Waterdeep. You send your minions throughout the city to hire adventurers (resources) and complete missions for victory points. If you mismanage your few workers early on, then you’ll find yourself at a disadvantage in the late game. This, however, isn’t necessarily the case anymore. The traditional Pen and Paper RPG (like Dungeons & Dragons) is alive and well, but along the way, someone thought to combine them with traditional board games, and it’s truly a match made in heaven. RPG board games can give all the fun and excitement of a pen and paper RPG without arguing about who’s going to be the Dungeon Master. In typical pen and paper RPGs, you need a player to take on the role of Dungeon Master. They typically spend hours on coming up with fun campaigns for the players. Luckily for us, the board game version of RPGs takes the hassle out of building your own campaign. It’s much more structured, but it’s also much easier to get the casual player in the game. In Mice and Mystics, the game setup and scenario takes the role of a DM/GM (Dungeon Master/Game Master) that runs the game for you. All that’s left for you to do is get into character and slay some monsters. To begin a traditional pen and paper RPG is a huge time investment for all players involved. I love doing it, but it’s sometimes hard to manage and get everyone together. The board game RPGs are much simpler and offer a lot of the same experience. You get to roleplay and create a character, just like in traditional RPGs. Many RPG board games have leveling mechanics built in to improve your character and best of all it’s much easier to get everyone together to play. Legacy games are the newest board game fad to hit the scene. Legacy games play differently than traditional board games. Each playthrough builds upon the previous game. Your first playthrough of a legacy game will play like a normal version of the game. But after that, it can get a little weird. Depending upon the outcome of the first game, players could get a bonus or disadvantage. The idea is that previous games matter. Each game will affect the next game. Sometimes entire sections of the board will be altered, or even have entire characters or game pieces destroyed. 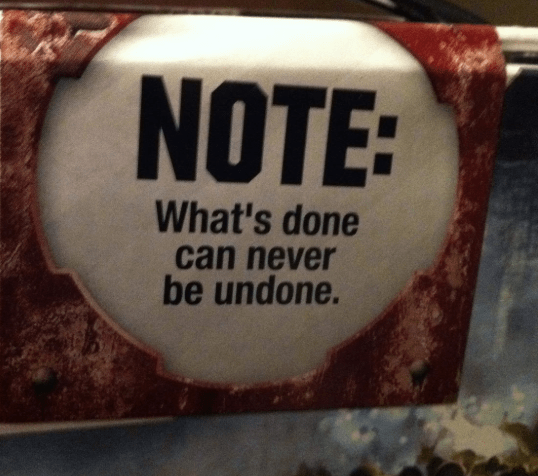 I had to destroy several of the cards in my Pandemic Legacy game, and my character went insane and died during the last few playthroughs. I think this type of game is fantastic especially if you can get a group together consistently to play through the entirety of the legacy. This adds tension to the game and adds real consequences to the outcome of each game, however, once you’ve completed the scenario there is a sense of finality to the board. If you want to go back and start over from the beginning you would have to buy another game or get creative with trying to replace everything you destroyed and wrote on. So if you’re investing all that money and time into a board game that has a limited number of playthroughs, it begs the question, “Is it worth it?”. I like to think so. The legacy games are designed to have about 12-20 plays of a game before the scenarios run out. If you think about it mathematically (gasp) then it’s a pretty cost effective form of entertainment. 4 people getting 12 games out of the box at an hour a play. Divide the cost of the board by the hours of entertainment. 65 / 48 = $1.35 per person per hour of entertainment. At least that’s how I rationalize my massive board game collections. War Games cover a broad category of games and they’re completely different from Wargaming. War Games are any broad category of board game that uses war and conquest as their overall themes. Any of the RISK games or Axis and Allies-style games are considered war games. Each player takes control of a faction and builds up their army to attack and destroy the other players’ factions. It’s highly strategic and requires players to plan when to attack and not leave their territories undefended by overextending their armies. They also rely heavily on dice rolls to simulate battles. War games will typically rely on a large map as the board to simulate the field of battle. It gives you a feeling of being a general looking down on your war maps and positioning troops. Wargaming is a hefty investment in both time and money and is 50% hobby and 50% game. Wargaming requires players to purchase individual models, construct them, paint them all before being able to play the game. Each player will need to buy and create their own customized army. It’s incredibly time consuming and expensive, but it is a lot of fun. Technology has always tried to integrate with board games, with mixed success. For most, it’s just been a gimmick like Monopoly’s credit card machine replacing the paper money. It’s always been on the fringe, and as computers get smaller and cheaper, it’s becoming much more common to include some kind of device to assist with your game. Technology-enhanced games can incorporate almost anything. Munchkin has an optional app that lets you keep score, and gives you a bonus. It’s not at all necessary for the game but it’s still an option. Some games require you to use some kind of smart device and if you don’t have one you won’t be able to play it. XCOM the board game requires an app that times the game and yells at you whenever your players are being attacked. DropMix uses a phone or tablet on a smart reader board that plays and mixes music as you set down cards. As technology advances, there is going to be an increased amount of electronics showing up in our cardboard boxes. One of the newer technologies that I’m personally excited to see integrated into traditional tabletop games is Augmented Reality. As with most new elements, it’ll most likely start off as a gimmick, but I think it’s going to be really interesting to follow how the games evolve from there. On top of enhanced traditional tabletop games, there are a ton of games that are going completely digital. You can find most classic games on every app store as well as some of the newer and more complicated ones. I must admit that I have mixed feelings playing these. On one hand, I can have a lot of my favorite board games in my pocket wherever I go. On the other, forgo on sitting around a table with all of your friends, and you lose a lot of the social aspects of gaming. Most games coming out today are hard to classify into one core concept. As games become more advanced, the clear-cut genres begin to meld together, which can be a fantastic combination. As board games continue to increase in popularity, we will see more and more innovation. It would be very rare to find a new game that is strictly categorized into only one genre. And as players, that means more options and more games for us to play. If you’ve gotten this far in the article we assume you aren’t waiting for the “Classic Games” category, on the edge of your seat to read about Monopoly and all of its spin-offs. That’s just not going to happen. We’re not going to write about Monopoly. You can’t make us. What are your favorite types of board games? Which do you avoid at all costs? Drop a comment below and let us know what you think! If you enjoyed this article, do go to the Game Cows Blog and join the herd! Previous article Local Designer Series: Christina Ng and Yeo Keng Leong of Three Kingdom Redux on Game Design.